SHILLONG: Shillong Lajong FC finally got clearance from Assam Football Association and the All Manipur Football Association to use their grounds for its home matches in the up-coming I-League tournament. The clearance has come at a time when the completion of the laying of the artificial turf at JNSC before the start of the I-League seems doubtful. The Assam Football Association has given the go-ahead for the S.M. Dev Stadium in Silchar while the All Manipur Football Association has offered the Khuman Lampak main stadium in Imphal. The Silchar venue is situated close to Meghalaya and also has floodlight facility, while the ground at Imphal has a history of good turnouts during football matches. Meanwhile, sources revealed that Lajong had also requested for the Indira Gandhi Athletic Stadium in Guwahati. “There is no response so far for this venue,” sources added. 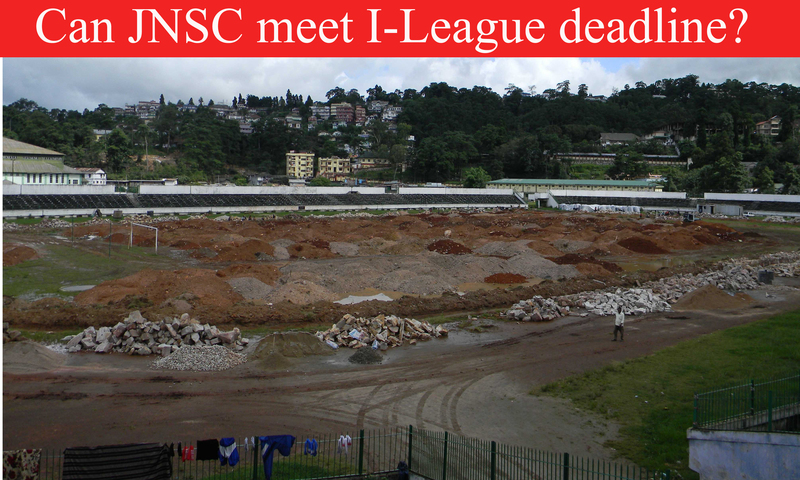 Earlier, Shillong Lajong had requested the I-League organisers to schedule their home matches later in the season with a view to buy enough time for the completion of the artificial turf project in JNSC. For now, the positive response from the two State’s football associations has come as a respite for Lajong who have been under tremendous pressure from the AIFF to either improve the home ground or forego the I-League campaign this time. Replying to a query, sources said that before finalizing of the venue, the team from the AIFF has to inspect the two grounds.